It really bothers me, in any industry or line of work, when people outside of an organization believe that they know more about the inner-workings of said organization better than those designated to run it. This questioning/second-guessing/revisionist critique of sports general managers is the most egregious and haphazard, in my experience. The Phoenix Suns acquisition of Shaquille O’Neal last week is the most recent example of this that really bothered me. Shaq is old and injury-prone. Yes, I agree that this is a concern, and I think that even Steve Kerr would say that the trade is a gamble for this exact reason. They gave up a much younger Shawn Marion in exchange for someone who has probably been lugging around 320+ pounds for over 20 years now. Yes, definitely a rolling of the dice on his health. Valid concern. The Suns were so close in the past couple years (especially last year) that they should have given it one more try with this squad. Again, another opinion that the fan/national analyst can legitimately foster. The Suns were, potentially, only a fair David Stern ruling away from winning the title last year with this exact team. They have the best record in the Western Conference right now and it makes sense that they could make another deep run with Marion. Again, a valid concern. Do I think that the Suns are going to win the NBA title this year? I don’t know. Do I think that they are better with Shaq instead of Marion? I don’t know that either. But, what I do know is that Steve Kerr believes it and, though he might be “wrong” in the end, he certainly has much more knowledge about the “system” of the Phoenix Suns than I do, and because of that, I am not about to go talking about how Shaq is not going to fit in in the “system” of the Phoenix Suns. The occurrence that happened tonight was with Pittsburgh going for two from the TWELVE yard line. Why? Why? Why? Personally, I was semi-rooting for Jacksonville because with no horse in the race, I am just looking for good football, and I think the Jags will give New England a better game next week. 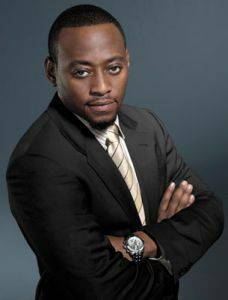 But, I was still yelling “Forget the f&*^-ing chart” when Tomlin decided to go for two. I hate that chart. You probably all know by now that if he kicks the extra point (from the 12 yard-line) then he does not have to go for two on the next TD, and the Steelers get to 31 points with Jacksonville’s final FG only tying the game. But, I have been upset by this for several years now with NFL coaches. I am not, in any way, saying that they are not smart, informed or good at what they do. I am also not saying that they do not make good decisions. I have never been one of those guys that claims to know better than any coach in any sport (with the possible exception of Steve Lappas). However, I am completely frustrated with these 2-point conversion and 4th down playcalls. I have had this conversation with my esteemed colleague, Doogan, on several occaisions. I do not believe in going for any 4th down that is a yard or more before the 4th quarter. I also do NOT believe in those silly 2-point charts. Do NOT go for 2 unless you absolutely must. Joe Gibbs knows that from the Week 10 loss to the Eagles, and Omar Epps (playing the role of Mike Tomlin) learned that tonight. Either way, I am so irritated by intelligent NFL coaches out-thinking themselves on 4th down and 2-point situations. Why does everyone have to guarantee victory these days? And, even worse than that, why are they doing it in regular season games? There are two guarantees that are immortalized and fantastic–Joe Namath in Super Bowl III and Moses Malone’s 1983 “Fo’, Fo’, Fo'” prediction–everyone else needs to shut up with the guarantees. The beauty of Namath and Malone is that they were big-time players, making big-time predictions for big-time games. Joe Namath, the All-American quarterback, guaranteed victory over a vastly superior team in the game of all games. 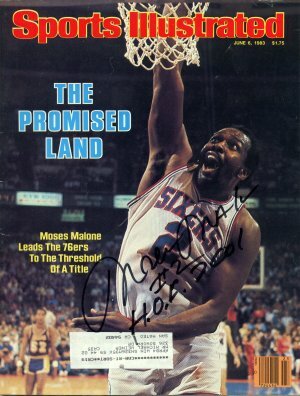 Moses Malone, one of the best players of all-time, guaranteed that not only would the 1983 Sixers win the championship, but that they would do it with three straight series sweeps (hence, the “Fo’, Fo’, Fo'”), even though that meant sweeping teams with Bird, Magic and Kareem. The best part about these two “recognized” guarantees is that they followed through–basically. Namath’s Jets (22-point underdogs) defeated the mighty Colts, and Moses’s Sixers won the title (though they did only go 12-1), including a sweep of Magic and Kareem’s legendary Lakers in the Finals. Oh, by the way, Joe Namath was the MVP of Super Bowl III, and Moses Malone was the MVP of the 1983 NBA Finals. Fast-forward to 2007: I don’t even know who Anthony Smith is, let alone why he is guaranteeing victory in a REGULAR SEASON GAME. What I do know is that it really drives me crazy. Unless you are someone who has ever talked to me for more than 30 seconds, you probably don’t know that I can be a relatively opinionated individual. And many of these opinions are about things that really bother me–pet peeves, if you will–so I figured I would start another running segment where I take the opportunity to get it out of my system. I’m no psychiatrist, but writing this segment every once in a while may improve my life, whether or not anyone actually reads it. I figured there was no better way to start this segment than by admitting my single biggest pet peeve in the world of sports–and it happened the other night to a team I love. Admittedly, I have a tendency to speak in hyperbole, especially when talking about sports, but honestly, this is my biggest pet peeve in any sport (there is one in baseball that is close). I know that I am not a basketball coach and that, in my playing days, I was a poor rebounder even for a skinny 2-guard, but all that I think I know about basketball leads me to believe that, barring a strange bounce off the rim or a ridiculous height or athletic advantage, the player with position should ALWAYS get the rebound. And, on free throws, the actual defined rules of the game GRANT THE DEFENDER POSITION! So, it has to be laziness or absent-mindedness or lack of effort, right? Right?!? THE SCENE: Monday night…just shy of 9:00pm on the east coast…the beautiful city of Akron, Ohio…1 minute, 17 second to go in the second half…Akron Zips 61, Temple Owls 59…Temple’s press (weird thought) has forced multiple Akron turnovers over the last minute or so, in which the Owls are on a 12-2…(you all see what’s coming)…Temple’s Ryan Brooks fouls Akron 6th man, Steve McNees…he misses the first…misses the second, BUT Mike Bardo gets the offensive rebound, kicks it out, where Temple has to foul again. Yada yada yada, Akron wins 67-65. Granted, I was forced to watch the play-by-play on the computer (who doesn’t televise the great November Temple-Akron showdown? ), so I didn’t actually see the play, but what are the chances that it took a crazy bounce OR that Mike Bardo (total game stats Monday night: 8 minutes played, 1 rebound) has a ridiculous height or athleticism advantage over a Temple big man? Slim? None? Obviously, there’s no saying if Temple would have won the game had they grabbed that rebound, but anyone who knows anything about basketball knows that there is a huge difference between a 2-point deficit and a 4-point deficit in the final minute of a college game. Infuriating!